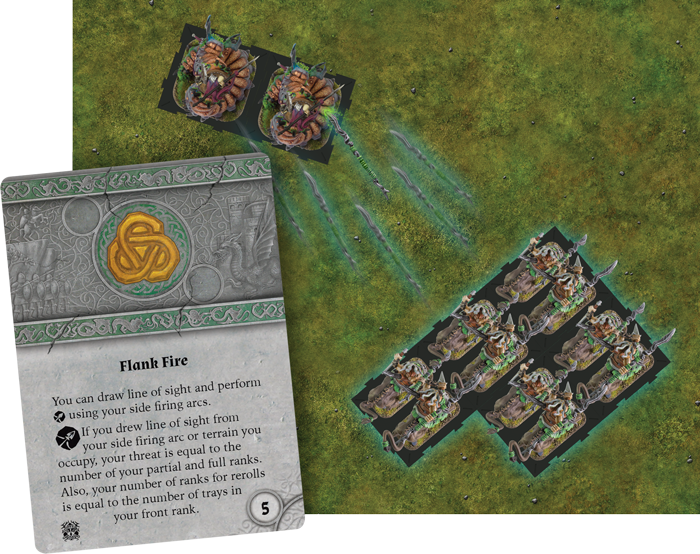 Order your own copy of Ventala Skirmishers Unit Expansion at your local retailer or online through our website today! The woods of the Aymhelin are deep, ranging even wider than maps would suggest, and there are beings within far older than humanity itself. All fiercely guard the forests from outside intrusion, and now, as the threat to the great forest grows, more of its denizens fight alongside the Latari to preserve their homes. Among these, the hooved nomadic hunters known as the Ventala are unyielding warriors in battle, using their short-range javelins and razor-sharp knives to strike down the enemies of the Aymhelin and defend their land. 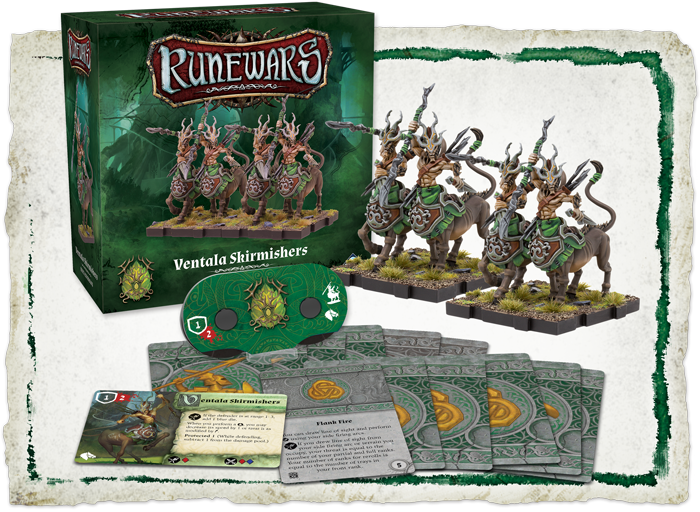 Today, we're pleased to offer you a closer look at the Ventala Skirmishers Unit Expansion for Runewars Miniatures Game, now available for pre-order at your local retailer or online through our website! While the Loremasters of the Latari have their theories and songs on the matter, the exact origins of the Ventala are for other races to wonder. For themselves, they simply assume that they have always been a part of the Aymhelin. When the two races first encountered one another, tensions between the Ventala and the Latari simmered for generations. But when their beloved Aymhelin became a battlefield for the Fae and Dimora, the two joined forces to push back the common threat. Since then, the two have fought side by side to defend the Aymhelin. This sense of camaraderie shines through in the twelve upgrade cards included in the Ventala Skirmishers Unit Expansion, none of which are exclusive to the hooved skirmishers. 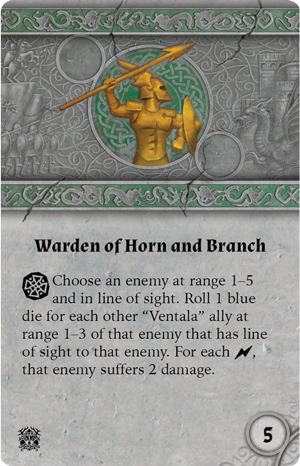 Nearly any of your Latari allies can engage in some cooperative hunting if they have trained with the Warden of Horn and Branch. As a skill action, you may use this upgrade to set your sights on an enemy and roll one blue dice for each Ventala ally who is close enough to your target. For each surge you roll, your enemy suffers two damage! This means that you can use the Latari’s allegiance with the skirmishers to execute a dangerous ranged attack, even if the unit who bears the upgrade can't launch ranged attacks on their own. For example, the Darnati Warriors may have Warden of Horn and Branch equipped when they face off against Lord Vorun'thul and the Deathborn Legion. The swordsmen, who do not have a ranged attack on their command tool, use their skill action to send in three of their Ventala allies to surround the vampire lord. As each of these units are within Range 3 of Lord Vorun'thul, the Darnati Warriors roll three blue dice. Through a small stroke of luck, they find three surges, causing Vorun'thul to suffer a total of six damage! Through their combined powers, the Latari and Ventala will ensure that the Aymhelin remains protected and pure from the corruption that plagues the rest of Terrinoth. In times of peace, the Ventala live humbly, relying on the bounty of the Aymhelin. Every season, each tightly-knit clan coordinates with their neighbors to determine the routes and hunting grounds best suited for each group’s needs to ensure that they do not spoil the forest with overhunting. But in times of war, these hooved warriors use their hunting skills and knowledge of the Aymhelin’s hidden trails to track their enemies and attack from the shadows of the trees. With their natural brawn and carved spears, they are ready to contend with even the most highly-trained Daqan cavalry, using their speed and strength to harass more distant enemies with javelins. The Ventala Skirmishers Unit Expansion provides everything you need to add a full unit of these skilled soldiers to your Latari army, including four masterfully sculpted figures and two cavalry movement trays to house them. In addition, you will also find one unit card and command tool, a collection of tokens, and twelve upgrade cards to further customize your army of forest defenders. Among these, you gain a new training upgrade to highlight the Latari’s mastery of ranged attacks, whether it be with the bow or the javelin. Historically, your ranged units are limited to your front arc, forcing you to reform your ranged units to attack different targets. 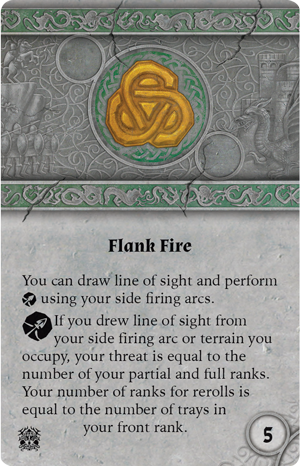 Flank Fire allows your Ventala Skirmishers, or many other ranged units in your Latari army, to perform ranged attacks using their side firing arcs, making it easier to launch your assault without sacrificing speed or maneuverability. This upgrade is absolutely lethal in the hands of the Ventala Skirmishers—their command tool features a green ranged attack modifier that can be paired with your choice of a reform, shift, or two different march actions! Furthermore, when you use this upgrade, your threat is readjusted along with your firing arc, becoming equal to your number of ranks. While it is rare in Terrinoth to see cavalry with a threat greater than two, Flank Fire sets up the Ventala Skirmishers to stand toe to toe with even the Daqan's Oathsworn Cavalry. With a touch of tact, you can run circles around your enemy and attack without ever putting your soldiers at risk from enemy fire. The Ventala have proudly stood alongside the Latari for centuries, and in the face of such great adversity, their friendship will not falter now. Add the Ventala Skirmishers to the ranks of your Elven army and strike back against your enemies with javelin and spear! 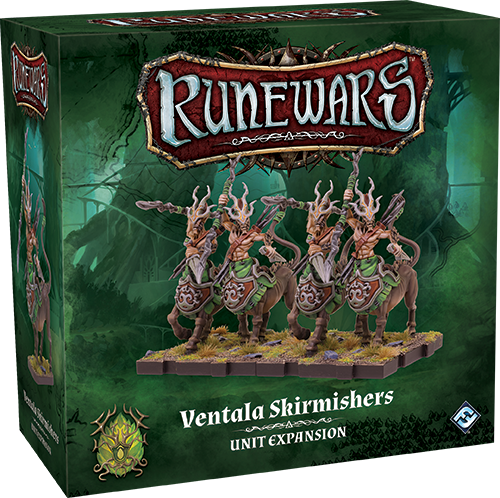 Pre-order your copy of the Ventala Skirmishers Unit Expansion (RWM35) at your local retailer today or on the Fantasy Flight Games website here!